Steadily, humanity moves forward to its Great Decision. Unbeknown to all but a few, men are being tested as never before in their long history on Earth. The Sword of Cleavage, wielded by Maitreya, the Christ and World Teacher, is doing its beneficent work: separating and dividing men, accentuating their different natures and proclivities. In this way, the choice before men becomes clearer, more sharply defined. Maitreya’s energy of love is impersonal, it stimulates everyone, those who long for peace and right relations, and those who love greed and competition, risking thereby a final war and total self-destruction. Thus the importance of the choice faced now by all. Many might wonder that such a choice is necessary. Surely no-one wants a devastating war? Today, a small and local war could become a major war of nuclear dimension. The result would be too terrible to contemplate, yet there are those who, even now, are planning how to survive such an eventuality. The choice for men is clear: to continue recklessly on the present greedy course and destroy life on planet Earth for ever, or to follow the promptings of the benevolent heart and practise sharing and justice as the only guarantee of a peaceful future for men of Earth. The events of the Arab Spring are a sign that the young are responding to Maitreya’s Call. Ahead of their elders, they have awakened to the new energies of Aquarius and the promise of the new life that they bring. They have lost all fear and gladly sacrifice themselves for a new-found freedom and dignity. A new splendour is growing among the young. Throughout the world, groups plot and plan for revolution. Arms in many countries are now stockpiled for this purpose. Not revolution but evolution is Maitreya’s advocacy. He knows well that revolution precipitates conflict and carnage, replacing one set of problems by another. What is required is a step by step process of change which allows everyone the experience of being involved in their own destiny. Sharing is the sole means of ensuring such a process; sharing alone will engender the trust essential even to begin. Maitreya has said: “The first step into sharing is the first step into your Divinity.” Accept sharing therefore, and enter into your birthright. 2011 was a momentous year in many ways, as we explore elsewhere in this issue, and it seems useful to review how Benjamin Creme’s Master’s articles for Share International have illuminated it. Paradoxically, the Master has said (in a personal communication) that, in spite of its profound difficulties for so many, 2011 was “the best year so far” for the Hierarchical Plan. It was a year of terrible natural disasters, and huge and deepening economic crisis, even for those who have been used to material plenty. But it was also the year when the voice of the people worldwide was heard loudly and decisively, beginning with the Arab Spring, when millions lost their fear, even of death, as they demanded freedom from the despotic rule they had endured for decades. That call was echoed in the protest movements against capitalist greed that spread throughout the West. In the July/August issue of Share International the Master wrote: “When the history of this unique time is written, men will realise, perhaps for the first time, how important, how central, have been the recent events in the Middle East” (The path to Unity), and in September He said that this period was “like none other in the history of the world. The changes taking place are momentous, beyond human comprehension, and will alter life, as we now know it, profoundly and for ever” (Change towards Unity). The Master’s reflections throughout the year have resonated with a sense of a growing momentum for change – but for evolution not revolution. As always His articles juxtapose an abstract and large vision with more specific and practical observations about world happenings. From a survey of the year’s articles the themes that emerge most strongly, always in an integrated way, are: unity and oneness; the voice of the people; and the promise of the new time of hope. The Master reiterates one of the essential tenets of Maitreya’s and esoteric teaching – the essential unity and interconnectedness of humanity both on a social/political level across the planet, and more deeply, on all planes throughout cosmos. Right at the beginning of the year, He relates this inclusive understanding of unity both to the political events across the world: “Humanity is still evolving in consciousness, together, as One” (Man’s essential Brotherhood, January/February); and, later, to the health of planet Earth: “We must learn to live in harmony with the planet itself to know a future of harmony with each other”. Maitreya’s call, the Master says, “is for all men and women everywhere to see themselves as He sees them, as Divine, Sons and Daughters of Divinity Itself” (Man’s responsibility, April). As always, the Master stresses that sharing is the key that will lead humanity to a new understanding of unity, when “Gone for ever will be the false barriers which men have erected to keep at a distance their brothers, realising them at last as themselves” (Man’s essential Brotherhood, January/February). In 2011, protests across the world were beginning to give expression to humanity’s fundamental unity and oneness. Following the world-changing Egyptian uprising focused in Tahrir Square, Cairo, the Master says that the protestors “have awakened to their unity and power”. “Everyday, for eighteen days, Maitreya spent many hours in Cairo, mainly in the Square”, encouraging the protestors: “The Great Lord encouraged, guided and blessed them for their ardour and restraint, and a deep sense of love and unity filled the hearts and minds of all the people” (The voice of the people is heard, March). By June, the growing strength of the voice of the people, worldwide and united, is noted, inspiring hope and optimism for the future: “Thus the Voice of the People grow ever stronger and more eloquent” for a “new society … one that holds sacred the right of all people to self-determination, the democratic right to involvement in their society and their future; their right to adequate living standards, healthcare and education. Above all, men will claim the right to live in peace” (The way of the future). The Master does not refer so directly to the protest and ‘Occupy’ movements in the West but in November speaks in a rather different tone of the unfettered greed that many are suffering from and promises that here too: “The people everywhere are sensing a change and are lending their voices to its call” (Maitreya’s promise). Political unity, notably among the young who “have the future safely in their hearts” will bring about “the New Time, the Time of Peace, Justice and Sharing, of Freedom and Love” (The ways of the New Time, May). The hope of the new time is strengthened by the response to the ‘confrontation of opposites’ created by the mysterious action of the energy of love that is the ‘Sword of Cleavage’ (Creating the Sword of Cleavage, October). Maitreya’s promise is of progress towards the new time, a time for the young, and for the ending of fear: “The old ways are dying and hold back the race” (Maitreya’s promise, November). Much is made of the role of the young in creating the new world: “The young lead the way, and the future is for them” (Creating the Sword of Cleavage, October). “Maitreya’s promise is that this new world is on its way” (Maitreya’s promise, November). The last of the Master’s articles of the year ends on a note of quiet, yet joyful optimism: “The pain and sense of loss of today will give way to renewed hope and satisfaction that the world is at last on the right path.... Men’s long winter in the wilderness has prepared them for the simpler, happier times ahead” (The Herald of the New, December). We look forward to 2012. Q. How many television interviews has Maitreya given since Share International’s December 2011 issue? A. Four since then – that makes 52 in total since the interviews started. Q. Where did these most recent interviews take place? Q. How are people responding to His ideas? A. It varies. For the poorer people His message is heart-warming and eagerly accepted. For some of the more affluent the ideas seem almost old-fashioned and irrelevant. Q. Is the ratio of people in Brazil who have seen Maitreya on television and are inspired by His ideas, as opposed to being frightened (or simply in opposition), the same ratio as US audiences? A. No. The US reaction is more sophisticated. Q. With all of the poverty in the world (Brazil has more poverty than the US, which certainly has its own share), I would have thought that the majority of people would be behind Maitreya at this point. Is it simply a case of old conditioning and habits dying hard, or are the poor generally supportive of Him, but the better off are more fearful of what they might lose? Q. How would you describe the year 2011? Do you think it was a pivotal point in the evolution of the world? A. Yes. It was a pivotal point. Q. Do you think the Occupy Movement has died off because of the clamp down by city authorities? A. No. There is opposition, but it has not died off. Q. An Italian experiment appears to have proved that fundamental particles – neutrinos – can travel faster than light. If true the finding would overturn the most fundamental rule of modern physics – that nothing travels faster than 299,792,458 meters per second. Does anything travel faster than light? A. Yes, ‘super’ light, depending on the level of the observer. Q. (1) Will there come a day when we will work completely openly and co-operatively with the Space Brothers in the solar system, not unlike the more advanced planets work together today? (2) If so, about how soon will that be? A. (1) Yes. (2) It is impossible to give a date. Q. Venezuelan President Hugo Chavez publicly suggested that the United States might have developed a way to give Latin American leaders cancer, after he and a few other leaders in the region were diagnosed with the disease. Did the US intelligence agency (CIA) indeed find a way to give people cancer in order to assassinate them, and have given cancer to Latin American leaders that don’t support the US government’s interests? Q. As a practising Buddhist, I admit an eagerness tempered with anxiousness toward the idea of a ‘World Teacher’ coming in the name of the Maitreya. Who gets to name this coming avatar of the ages? Communist China or the Dalai Lama? A. Neither. ‘Maitreya’ is the name of the expected World Teacher, awaited by Buddhists throughout the world. Japanese Buddhists expect Maitreya Buddha in about 350 thousand million years. No doubt the Buddhist groups have varied dates in mind. But Maitreya is the name of the existing World Teacher Who has been the World Teacher for the past 2,150 years, succeeding Gautama Buddha in that role. Maitreya will be the World Teacher for the next approximately 2,500 years, being the first World Teacher to hold that office in the Spiritual Hierarchy of Earth for two succeeding Ages. He is named Maitreya Buddha because Maitreya is His personal name. Q. I am 25 years old and I’m a ‘starseed’ and I’ve always found it hard to live this way of life. I want to sell all my possessions and become a disciple of Maitreya. How can I do this? Will Maitreya start intentional communities for those who wish to start living the Aquarian lifestyle? I can’t wait for all this to happen! Much love! A. In many parts of the world people are already experimenting with the kind of community life that you seem to long for, but there is no need to sell all your possessions. If you love your fellow men and help to ease the lot of the world, you are at least potentially a disciple of Maitreya. Good luck! Q. The painting Salvator Mundi is now seen by experts as a work of Leonardo da Vinci. Are they right, did Leonardo indeed paint this picture? Q. In an interview two experts mentioned that looking at the painting, especially the eyes, it catches you and you feel a kind of energy coming from it. Is it true? Is energy coming from that painting? A. Yes. Every painting by Leonardo radiates his energy. Q. The picture was painted between 1506 and 1513. It was lost for a very long time and later rediscovered and restored in 2011. It was recently on display at the National Gallery, in London. Is there any relation between the timing of its rediscovery and the reappearance of Maitreya? Q: Was Leonardo inspired by Maitreya or the Master Jesus or another Master to paint this picture? A. No. he was inspired by his own Master, the Master Serapis. Q. (1) To what extent was G.F. Händel aware of the difference between the Christ and His disciple Jesus and the return of Jesus/Christ in our time when he composed Messiah? (2) Was Händel consciously in contact with the Hierarchy? A. (1) Not at all. (2) It would be inaccurate to say he was in contact with Hierarchy but he was susceptible to a Master’s inspiration and impression. Q. To what extent do Maitreya and/or the Master Jesus release their energies to people listening to Messiah? A. It is impossible to say but from time to time a disciple’s response calls forth Their response. Q. In your talk in Tokyo in June 2010 you mentioned the existence of an interplanetary parliament in our solar system. Is this the same body whose meeting George Adamski was invited to attend on Saturn in March 1962? Q. In the March 2009 issue of Share International you answered a question about a condensation trail being made by a spacecraft from Jupiter (ref: ‘Seeing is believing’ letter on page 33). (1) Do spacecraft often leave such a trail in the sky? (2) I ask, as I imagined that UFOs would be ‘smokeless’ and leave no vapour trail. (3) Are many of the so-called ‘chemtrail’ and ‘contrail’ trails actually being made by spacecraft, involved in the work of replicating the magnetic grid for the coming technology of light? (4) If so, would it be correct to say they are ‘drawing’ in the sky to reveal to us their connection with this work? A. (1) Yes. (2) Usually they are smokeless and usually they leave no trail, but from time to time, many do. (3) Yes. (4) No. Q. The first recorded unidentified flying object sightings in North America were made around 18 January 1644. Massachusetts Bay Colony governor John Winthrop documented the occurrence in his journal. Were these sightings authentic? On Monday 16 January 2012, at 5.45pm, I was at Alexandra Palace in north London. Getting out of the car I saw an orange light to the west of the Palace, moving across the sky. There was also an extremely bright star in the sky and the orange object passed just underneath it and then simply vanished. When I looked into the sky 45 minutes later, the bright star had just simply vanished too, even though it was a clear night and all the other stars were still clearly visible. Can you tell me what the “bright star” and the orange light were? I wish to share some special experiences I had, which occurred when I was a patient in a hospital and felt alone and forlorn. On 1 November 2011 there was a change of the personnel at a quarter past two in the afternoon. A new person arrived and presented herself. My first thought was: “They must be short of personnel and have enlisted a retired person!” She seemed to be about 75 years old. She was very beautiful with sparkling warm brown eyes and an intensive charisma. She was hunched and was dressed in white but carried no nametag. My attention was also drawn to an earring that she wore in her left ear. It was really marvellously beautiful. It shone in a way I have never seen. The earring emitted small rays of light. She bent over me, took my hand, presented herself and said, that “I would be there for a time”. When she bent over me, I saw a lovely necklace, which I held and said: “This is a very beautiful necklace.” She bent closer to me so that I could take a closer look at the piece of jewellery and she said: “This is the symbol for the ‘footprint in the sand’.” And then she told me the story about the man, who was carried by God when the man felt very forlorn. “This is the truth”, she said with a gentle emphasis and left singing to clean the shower room. Three days later I came to Hillesgarden for the rehabilitation and asked my daughter to go to my house and fetch a prescription for me. When she returned, she said, “There is some piece of paper stuck to the prescription you wanted. I cannot remove it.” I prized it loose carefully and the enclosed paper was the picture of the ‘Hand’ of Maitreya. I felt an incredible warmth spreading in my chest. The warmth spread up to the head and then to the whole body. I experienced a feeling of a serene bliss and light. After that my health has gradually become better. Could you please ask your Master who the man and the woman were? Did the Masters create bodies for this occasion or were these persons overshadowed? Did other persons see them? I would like to share an experience my wife had on 28 December 2011. She went to the tomb of her parents at 16.30, in a cemetery called “la Magdelaine” at Thouars. The sky was low and obscured by clouds. For her, these moments are important to “talk to her parents” and to tell them the joy of knowing that our son’s wife is pregnant. Suddenly, the clouds moved away, leaving a sun appear with a previously unknown strong radiation; its rays illuminated only the tomb and my wife. To her surprise she looked up and saw another sun position itself alongside the first sun. 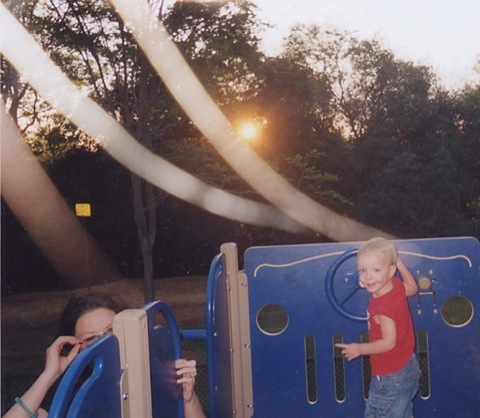 The force of radiation was intense and the sun began to flash like car headlights. She said to her parents that they “should be happy because life went on”. At this time the sun flashed faster. She addressed the sun and her parents, saying, “Is it a positive sign?” The suns redoubled flashing. She felt very well, serene, and felt no heat. She was taken with a strong desire to cry (of happiness and well-being). She stayed for 10 minutes. The two suns shone during her presence before the tomb, until she said goodbye to her parents and left. Then the suns disappeared, giving way to overcast skies and obscured by clouds. How to understand this sign? Was it the presence of a Master? Since Benjamin Creme at the last European conference (2011) in Kerkrade, the Netherlands, stressed again the importance of Transmission Meditation, our group decided to do an extra long meditation (with two small breaks) each month. The first time we started with this I went out for a short walk in the lunch break to stretch my legs because I had some back troubles. On the street an elderly lady with a strange type of Zimmer-frame or walking-frame and a bright pink bonnet asked me in English the way to a certain shop. I felt sorry for her because it was a long way to go and she was not walking too well. But she said it was no problem, she suffered from back problems and walking was good for her. I told her I would like to accompany her for a while and she gladly agreed. For no particular reason I told her that it was my meditation day and I was just going for a short walk during lunchtime. She was very pleased to hear that, and said that she had also joined a meditation group. She was Jewish and her Rabbi had organised a worldwide meditation group of Jewish and Christian people in such a way that one group or another was meditating continuously. The Rabbi had also tried to involve Muslim people but so far without success. She had told the Rabbi that he had done what he felt was his duty but he was not to force anything. She also stressed the importance for mothers around the world to meditate. She asked me to pray for her and said she would do the same for me. When I had to return to our group she asked my name and then she spread her arms wide and said, full of joy, “My name is Gloria”. As we kissed each other goodbye she wished me “Shalom”. I often think of this special lady. Who was she? B.G., The Hague, the Netherlands. I had a very unusual and interesting experience on 3 December 2011 and I would be grateful if you could shed some light on it. I was travelling into London to attend a Christmas celebration meeting in Swiss Cottage. I was sitting in the first carriage of the old Metropolitan line train, with one exit in front of me and one behind. As we approached Harrow on the Hill a man walked along the aisle to use the exit in front. He stood by the doors, and as the train stopped he turned towards me and said something. “Best thing this Christmas,” he added and got off the train. He looked at me and smiled and tapped at the window whilst walking along the platform. He was wearing a pair of grey slacks and a polo neck sweater. His hands were empty. There was a presence about him. His face reminded me of Maitreya [in Nairobi, Kenya, 1988]. He was tall with dark skin and dark wavy hair. Later, during the meeting the speaker reminded us of the importance of preparing for Christmas. I was driving home from lunch in Greensboro when the air-conditioning stopped working; followed by a clicking sound, followed by a loss of power and then smoke from under the hood. I pulled over fearing the worse – a blown engine! I reached for my cell phone to call the AAA auto service and realized to my horror that I had left the phone at home; so I got out the car and thumbed for a ride. Within three minutes a car pulled over and backed up to where I parked. The car looked badly weather-beaten and frankly looked like a salvaged vehicle. I looked into the kind face of a young man, his hair pulled back, who smiled apologetically and said: “Sorry I don’t have room for you up here but you’re welcome to sit in the back with the dog.” A medium-sized black dog was occupying the small space not taken up with tools and stuff of every imaginable description, front and back. I slipped in next to the dog and started to pet it, avoiding asking the driver what he did with all the tools. I told him of the car trouble I had and expressed fear that it was ‘toast’. He asked if the smoke was white or gray and suggested I might have ‘thrown a rod’. I asked where he was from. He said Asheville and I thought it funny since I had returned from Asheville earlier that same day. “What were you doing in Asheville?” he asked. I ultimately told him I really just wanted to get away from Winston Salem for a while and enjoy the interesting city of Asheville. I talked about my interest in Bellingham and he said he had been there. This surprised me, and as we talked I was impressed by his friendly, calming and sharp manner; yet his car suggested he might be ‘just getting by on his skills’. My home was only 4-5 miles away and he offered to drive me there. His dog was very friendly and my white linen pants and shirt was soon covered with black dog hairs. I didn’t mind as the dog had a calming effect on my emotions. When we arrived at my condo, in spite of his objections, I gave him $20 dollars and thanked him for being a Good Samaritan on this hot day. He apologized for the dog hairs on my clothes and as we parted I said “I’ll see you around” unthinkingly. When I opened the apartment door I didn’t notice the hairs I had seen earlier! I immediately called the Highway Patrol to report my abandoned vehicle and called my brother to bring over my other car. I later scrutinized my linen clothes only to find no dog hairs whatsoever – on either the shirt nor pants! Was this Good Samaritan the Master Jesus? I.P., Winston Salem, North Carolina, USA. On 27 October 2011, I went to a health clinic suffering from deep depression and serious digestive problems. As I sat with my husband waiting to be called, a young couple walked into the clinic accompanied with a little baby boy in a bassinet. I think he was about four months old, very alert and a joy, he smiled whenever looking in our direction. They were both modestly dressed; she wore grey flannel pants and grey sweater, laced soft leather boots, a cap that covered all her hair, which she removed to reveal her short blond hair, she was petite, reserved with soft facial features and very pretty. He was very tall wearing denims and similar boots; he was very busy entertaining the little baby, playing with him and they were both cooing to him, all in all a beautiful picture of bliss. After a while she discreetly nursed the baby while he left the room. When he returned he carried a sandwich bag: she fed little pieces of bread to the baby, some for herself and to her husband. The baby finally fell asleep in his father’s arms while he spent time playing with one of those phone gadgets and she read from a soft covered book. Their presence in the room had a calming effect on me, so beautiful and peaceful. When it became time for me to leave I walked to her to complement her on her lovely boy. She thanked me with a soft shy smile. When I reached home I took my medications and I was amazed on how much more relaxed and peaceful I was, I was able to help myself to a small amount of food, the first in 15 hours. Perhaps this incident is ordinary but I felt revived after this encounter, as simple as it is. Can you tell me if they were special – to me they will always be. One night, last autumn, 24 September 2010, looking from a window towards the northwest direction, I saw a blinking white light like the ones from a plane, but to my surprise, the light entered into a thick cloudy zone (it seemed that it was going to rain that night); but at that moment, it stopped and turned back. It was heading east, and then it changed to the west. Opposite my home there are fields and low hills, and there the light was coming and going, from one hill to the other, from east to west, and back, till it stopped in the middle of two hills, in front of me. It stopped blinking and started growing in size, till it became four times its original size. This went on for a few seconds, till it came back to its original size, and started again going back and forth between the hills, entering and coming out of the clouds, almost touching the hilltops. After a while it entered into the clouds and disappeared. All this lasted around half an hour, from 1am till 1.30am. Was it an UFO? If yes, did they see me? At the beginning of December 2011 I had the pleasure of attending one of your lectures at Friends House while travelling from the Netherlands on a business trip. Afterwards we shared a short conversation whilst I shook your hand as you left the building. That week for me was greatly looked forward to especially as I had been feeling a little low and needed to feel a better sense of my own spiritual progression and life’s purpose. I greatly and quietly sought a sign of some kind to ease my tension. A couple of days after your gathering I was walking through London, witnessing protest marches everywhere – the sense of outrage was thick in the city’s atmosphere. As I walked past the Houses of Parliament an ‘old Gypsy lady’ (as she called herself) stepped out of the crowd and grabbed my arm. She asked me some questions – placed a stone in my hand – I got lost in her bluey green eyes, transfixed for a few minutes as she encouraged me to wish for the wellbeing of people everywhere. She predicted some things for me and indicated a significant upcoming date (soon to arrive). I walked away with a gentle feeling of exhilaration and rested a while upon Westminster Bridge. The thought and memory of this woman has stayed with me ever since. By any chance, was this a Master validating something for me? First, I like you to convey my thanks to Mr Creme’s Master and Mr Creme himself for writing the books. I am currently reading some of his books and found many of my inner questions answered. This helps my inner growth. On 12 November 2011 we had in Germany two important demonstrations. One in Frankfurt/Main and one in Berlin, with the motto “Banken in die Schranken” (“Banks in their place!”). After the demonstration in Berlin we all stood near the “Brandenburger Tor” for the declaration on the stage. We had beautiful weather and I thought to myself, “there must be a UFO in the sky over the group”. When I looked in the sky I noticed a few moments later a thing like a UFO. Very flat and very fast, in red and metallic colour. It came and went two or three times and then the object disappeared. Two others from our Transmission group saw the same UFO. Can you please confirm if this was a UFO and where it came from? The following article is an edited version of a talk given by Benjamin Creme for a Transmission Meditation workshop at Cecil Sharp House, London, 26 January 2008. The question may have arisen in your mind as to why people meditate at all. Why meditation? What is so good, so interesting, so effective, that millions of people all over the world, and in vastly increasing numbers, are taking up, or continuing, meditation? Why do they do it? From the point of view of Those in charge of our evolutionary advancement on planet Earth, the reason is that meditation is the means, par excellence, of bringing the individual into contact with his or her soul. That is why we meditate. Whatever else we are looking for, whatever a particular meditation might give one, the fundamental reason for doing meditation at all is to come into contact with our soul. Whether we know it or not, we are all souls in incarnation. It is the soul that incarnates, not this personality that we think of as one’s self, with a physical body. The soul is a great spiritual entity, an individualised fragment of one great force called the Human Kingdom. As the soul incarnates again and again, it makes an evolutionary journey through a series of vehicles, the man or woman on the physical plane, each with its personal look, vision, thoughts and so on. The vehicle is made up of a physical body, an astral/emotional body and a mental body, which together provide the vehicle for the soul to see and experience life at this level of being. This level is only one, and the lowest, aspect of all the possible levels of life that we can experience as we raise our consciousness and awareness to higher and higher planes. Out of incarnation the soul is a perfect divine being, with the full range of divinity that we can experience at our level on planet Earth. But if we are presenting through illusion aspects of ‘life’ on the physical, emotional or mental plane – aspects of life which are incorrect through our seeing blindly through the fog of illusion – then the soul too shares the illusion. The majority of humanity at this time in incarnation, and also out of incarnation, is living in illusion to a greater or lesser degree. Essentially, the soul is not in illusion, but if we present illusory experience to it, it shares that illusion. It can only see what we see. If we are blinded by glamour, illusion, then that is what we present as the nature of life to the soul. The aim and purpose of life, of the soul in incarnation, is the development of a vehicle more and more pure in its response to the nature of reality. And the more pure, the more exact that response is, the more correct is the soul’s vision of reality at this level. We go through thousands of lives in this evolutionary journey: reincarnation is a fact of life. But it is not we – you and I, with a name – but our soul which makes this journey of perfectionment. Itself perfect, the soul makes a journey of perfectionment on the physical plane through a succession of physical vehicles equipped with astral/emotional responses and with mental vision and thought. The more evolved the vehicle, the more perfect the soul is in its incarnational journey. That journey takes thousands of lifetimes but at some point in that journey the soul, at its level, realises that its vehicle, the man or woman in that particular incarnation, is beginning to respond somewhat to its energy and light. Up until that time, the vehicle, on a tenuous thread from the soul, is carrying out only its own purpose: eating, thinking what to eat next, how to get that food, how to earn its living, and so on. But a point arises when the soul sees that its vehicle is beginning to respond to the soul’s energy and purpose. When the soul sees this happening, it directs the man or woman towards meditation of some kind. The soul then lights its centre at the right hand side of the body. This is the centre of the soul, not in the dense physical, but in the etheric finer body. The Christian Bible says that the wise man’s heart is at the right side, the foolish man’s heart at the left. This means that the wise man, who knows he is really a soul, knows that the soul centre, not the physical heart, is the centre of our being. When this centre is lit by the soul, the evolution of the soul in incarnation begins. The energy and the light of the soul begin to glow, and the soul brings its reflection, the man or woman, into meditation of some kind: meditation is the lever which brings together the soul and its vehicle. At first, the person might try a number of meditations and decide not to continue, but eventually a life comes along where some meditation holds the attention, and considerable time and energy is given to the practice of that meditation. In this way the link between the soul and its vehicle becomes stronger and stronger until eventually the union of the two is established. Yoga means union, and through the yoga of meditation that contact is first made and is cemented life after life. There are hundreds of meditations presented to the world. There is a large choice for anybody who wants to meditate. The more scientific the meditation, the more efficacious it will be, and the more it will do the necessary work. The soul never gives up, it is a ‘tryer’, and if in one life the person does not do meditation then the soul nudges it again in the next life and so on until finally the message gets through and the person starts to meditate. It might be very fleeting in the beginning, but then lives come in which the person is very dedicated to meditation. And then something else begins to happen. When they have been meditating for some time, the individual begins to change under the influence of the soul (although that might not be realised by the person. It depends how much they know about it theoretically). You may see the changes, you may not, but your friends will definitely see them. You are not the person you were, you tend not to have the interests that you had before. You begin to take on other interests. You become less self-interested and more outwardly interested, more concerned with the world as a whole, with people other than yourself. This is a definite stage. We all go through it, and it is not something strange or terrible that is happening, it is just development, soul development. The soul knows no barriers, it sees not individuals but the world as a whole. It sees its purpose in its entirety, and it sees its vehicle as a transitory state that it can use for a given time in its incarnational journey. It does not see its vehicle as inferior or superior to any other vehicle. It makes the vehicle that it needs. It lays down that vehicle in the womb and brings to adulthood the man or woman through whom the soul experiences life at this level of being. The soul has no sense of time, only of eternity; it thinks in terms of eternity. It also does not see itself as a separate being. We tend, wrongly, to see ourselves as separate. We have different names, different colours, different religions, we are born in different parts of the world, and all these create separations which we take to be real. From the soul’s point of view they are not real at all: there is no division, no separation. The soul is aware of the whole and it seeks to convey that sense of the whole to its reflection, the man or woman. This may take thousands of years from our point of view but from the soul’s point of view there is no such thing as time. There is only eternity. In our limited vision, our illusion, we think that time is a reality and we impose that illusion on our lives. Of course, if we have a train to catch, or a ship or a plane to meet, or are making a magazine and have a deadline for getting it to the printers, we must have a time, but that is only a convention, an imaginary division of the day; it is not real. It is something we have manufactured to help us cope with the reality of the physical plane. But we must not be misled into thinking that is ‘life’. It is not life, it is only the convenience of the physical plane. Out of the physical plane, time has no bearing. Nevertheless, there are periods in which life is experienced in different ways – in a more active or a more receptive way. These are phases in our lives which give us the impression of time. They are out-breathings and in-breathings of the great Universe itself, and we are all part of that. There is nothing, no atom of matter or energy anywhere in the universe which is separate from any other atom. Just as our body is made up of tiny, closely inter-related cells, so every tiny atom is related to every other atom in the whole of the universe. That is how the soul sees it. The soul knows the meaning and purpose of what we call life. It knows the purpose of each individual incarnation. Fundamentally the soul incarnates to further the great Plan of evolution and it relates each individual incarnation to that greater purpose. Our bodies are only one body in a long line of such bodies, each one different, each one a little further on, with more of the energy and purpose of the soul in and behind it. And meditation is one of the means of achieving that soul integration. The soul is in incarnation, above all, to serve the Plan of evolution of the Logos, the Heavenly Man ensouling this planet Earth. The consciousness of that Heavenly Man, the Logos, is related to the greater consciousness of that Heavenly Man Who ensouls not only this planet but the solar system as a whole. Our individual soul comes into incarnation to further the evolutionary purpose of our Planetary Logos, and what is more, its relationship to the greater Plan of the Solar Logos. We do not know as yet what that purpose is but the soul does know it, and seeks to bring it about through its vehicle, and to bring in its individual purpose, a relationship with the purpose of our Planetary Logos, and therefore also of our Solar Logos. We could go further still and say that the Plan of the Solar Logos is related to the Universal Logos, if I can call Him that, of the great system of this particular universe of which our planet and our sun are a part. There are millions of suns and our sun is at the edge of our particular galaxy. At the centre of the galaxy is a Sun of unbelievable evolution because it is ensouled by a Being of unthinkable and unknowable evolution. He is called ‘The One about Whom Naught May be Said’. What could you say about the Plan of a Being Who could ensoul a galaxy? It is incredible to think of and yet that is the nature of reality. And we are one of the little cells in this whole process. We meditate, in part, to help us to come to this awareness. The soul tries, in incarnation after incarnation, to bring its consciousness into the life of its vehicle: to bring it down onto the physical plane so that it can create in the end a being who is to all intents and purposes the same as the soul. Can you imagine such a being? Well, they do exist. They are men so perfect in evolution that they have no faults, they have only divine Love, divine Will, divine Purpose and Intelligence flowing through them every minute of the time. There are such people and They are called the Masters of Wisdom. As the soul makes its journey it gradually changes its vehicle. More and more of the light, which is the energy of the soul, is reflected by its vehicle, the man or woman, through the practice of meditation and service. It is not the individual who desires to serve, but the soul. And when the union of the two through meditation is sufficient, the person finds him or herself wanting to serve: the call to service of the soul becomes too great to resist. The world is seen to need their help, and the person begins to serve in whatever way it is called upon by the soul to do. There is no one who has no way to serve: “I’d like to serve but I don’t know where to be. I don’t know if I am in the right place.” There is a whole world needing to be served and the soul presents it. The thing is to recognize it and relate yourself to the needs of the world. From my point of view, the chief factor in Transmission Meditation is that it is 100 per cent scientific. It works because Those Who have presented it to the world, the Masters of Wisdom, are Masters of the Science. The Masters have made this journey long ago in most cases and have become as perfect as a man or woman can be on planet Earth. They need no further incarnation on this planet, which has nothing more to teach Them. But there is a Path which many of the Masters choose, the Path of Earth Service – luckily for us, because that means that a considerable body of the Masters, having become perfect, choose to remain on the planet, to oversee the evolution of the rest of us. These Masters of Wisdom, as many of you will know, have lived thousands upon thousands of years in the remote mountains and desert areas of the world, like the Himalaya, the Andes, the Rockies, the Cascades, the Urals, the Gobi Desert and various other deserts of the world. From Their retreats in these remote areas They have for thousands of years overseen the evolution of planet Earth, working in the main, because They have been hidden away, through Their disciples, men and women in the world. If you were to give me the name of any man or woman who has significantly brought the gift of achievement of one kind or another, whether in science, art, music, religion, politics, or any form of human activity, you will have given me the name of a man or woman who was a disciple of one or other of the Masters: people like Shakespeare, Dante, Leonardo da Vinci, Rembrandt, Beethoven, Mozart, Bach, Madame Curie, Einstein, and so on. These are all men and women who have gone a certain distance along that evolutionary journey, in which they are trying, on the physical plane, to act like the soul, because they cannot do anything else, because that is how they are. That is how they see life. They want to help, they want to be creative and do something worthwhile and beneficial for humanity and the world. These are the disciples, the men and women on the physical plane, who are carrying out the plans of the Masters Who are the Custodians of planet Earth, of the evolutionary journey through which we are all going. It is a scientific path, not an exact science, a cold, hard science, if I can put it that way, but one that is open and responsive to all kinds of input from the soul and changes of course to find a better, quicker way to achieve the goal. One of the momentous things at this time is that these Masters, in large numbers eventually, are returning to the everyday world. There are 63 Masters concerned with the human evolution, and of these, at the present time, there are 14 Masters living in the world in incarnation, plus the Master of all the Masters Whose personal name is the Lord Maitreya. Maitreya is physically present in the world, and we here in London are graced by His presence. Eventually there will be about 40 Masters in the world. Maitreya is awaited by Buddhists as Maitreya Buddha, the fifth Buddha, and awaited also by Hindus as Krishna, or Kalki Avatar, by Muslims as the Imam Mahdi, by Jews as the Messiah, by Christians as the Christ. These are all names for the Head and Leader of the Masters of Wisdom, the Elder Brothers of Humanity. In the New Age of Aquarius, into which we are moving, Transmission Meditation will be found to be the scientific path for all disciples and aspirants to discipleship, to evolve to become a perfected Master. And in this Age, there will be a tremendous speeding up of evolution because so many Masters will be living among us and Their tremendous spiritual energy will be poured out into the world. Whether we know it or not, that is really why we do Transmission Meditation. Transmission Meditation is a perfect scientific meditation created by the Masters and given to us at this time because it is only now that there are enough aspirants to discipleship, disciples, and initiates in the world, to practise Transmission Meditation on a large scale. We do Transmission Meditation to serve the Plan of evolution. Technically it is not a difficult meditation to do; on the contrary, it is really extremely simple. Transmission Meditation is still very young. The first group was formed here in London in March 1974, so it is only about 35 years in existence. Only now are there sufficient numbers of people who have reached the point in their own evolution that they are beginning to look for a worthwhile way of service and at the same time a scientific way of meditation. The beauty of this meditation given by the Masters is that it is a perfect way of evolution and a perfect means of serving at the same time. You cannot do Transmission Meditation without serving the Plan of evolution of our Logos, as demonstrated and known by the Masters of Wisdom. The Masters are Custodians of all the energies entering our planet and Their work is to redistribute those energies scientifically according to the needs of the Plan of evolution of the Logos of the planet. Great Beings like Maitreya, the Buddha, and others, determine which of these energies are beneficial and useful at any given time and which are not and at what potency, and so on. All of that is done according to the Plan; it is a colossal science, known only to the Masters. Transmission Meditation is the combination of two yogas: Karma Yoga, the Yoga of Service, and Laya Yoga, the Yoga of the Chakras, the energies. These are two very powerful yogas. In combination, as they are in Transmission Meditation, they fulfil all the possible needs at this time for the requirement of meditation and service. Transmission Meditation is based on the science of triangles, a science known only to the Masters. The Triangles movement was founded by the Masters and given to the world through Alice A.Bailey. Transmission Meditation takes the science of Triangles further and was given by the Masters for this purpose. This extraordinary science of Triangles is what makes Transmission Meditation so powerful. Each of us can have sent through us a certain amount of energy, but more energy can safely be placed through three people as a triangle than through the same three people as individuals. Three, therefore, is the basic lowest number of a Transmission Meditation group. Any number higher than that makes the group more powerful. The Masters are the Custodians of the energies and They seek to distribute them in the best, most efficient way, without losing power. They have brought into being Transmission Meditation to do this. In a triangle, the Masters energetically join three people together to make the triangle, and so every ounce of energy put through the chakras of these three people is magnetised by the fact of being a triangle. If there is another person there are four such triangles and they are all joined together. If you have five people you have 10 triangles. If you have 10 people, you have suddenly 120 triangles, and so on, in arithmetical progression. So every added person makes possible a terrific leap in the number of triangles because everybody is linked energetically to everybody else. The science is colossal and because it is in the hands of the Masters it is totally efficient, nothing is lost – if the Transmission is correctly done. If you have 20 people in a group, you have 1,140 triangles, it is amazing. If you have a group of 100 people you have 161,700 triangles. All those people are linked together by the Masters, and that is the science which makes Transmission Meditation so effective. Each person in a group of 100 brings into the group 4,851 triangles. That is extraordinary. If you are part of 100 people you are worth 4,851 triangles – think of that! You are responsible for all of these triangles, which means that if you were to leave the session you would take out 4,851 triangles and the group therefore is down by that number. So you see the responsibility of doing Transmission Meditation. It is only for people who are serious and responsible, who want to serve and who are sufficiently disinterested in the real sense, not so interested in themselves, but interested in service, in doing some good for the world, so that they want to give up some time to do Transmission Meditation. A little goes a very long way because it is in the hands of the Masters. It is impossible to do Transmission Meditation, even badly, without doing good to the world. You just cannot help it. The science is so effective, purposeful, pure, that you cannot help but be effective and you cannot help being changed as you do it because these energies are pumped through your chakras, the force centres up the spine. As these tremendous potent spiritual energies go through the chakras, they galvanise this activity and so you make very fast evolution. Again, you do not do it for that purpose, but you cannot help it. You become more and more evolved very quickly. It is like a forcing process, although you do not feel any force, nobody is standing over you, you do it at your own soul’s bidding. It is your soul always telling you, “Do this to aid the world.” And the more you do, the more evolved you become, and the more you want to do, and so on. In one year of correct, sustained Transmission Meditation, you can make the same kind of evolutionary progress as in 10, 15, maybe 20 years of ordinary meditation, just by sitting apparently doing nothing! Then all you have to do is to keep your attention at the ajna centre between the eyebrows. Not in the middle of the forehead, but between the eyebrows. If you can keep your attention there, you are in the meditation from beginning to end. In the beginning your attention is sure to drop, I can promise you, probably to the solar plexus, where most people keep their attention. Hence the astral polarisation of the vast majority of humanity. Your attention should be at the ajna centre. So how do you do this? You consciously place your attention between the eyebrows, at the ajna centre for as long as you can. If you become aware that your attention has dropped and you no longer feel the vibration at the ajna centre, think (not say) the mantram ‘OM’. As soon as you do this, your attention will automatically return to the ajna centre. So we start by saying inwardly OM and the attention is immediately raised to the ajna centre and when it drops we think OM again. You use the OM to hold the attention until it drops and then you think it again. The easiest way to do Transmission Meditation is to join an already existing group. If you want to join a group but do not know where they are, you can write to us at Share International and we will inform you of the nearest group to your address. Alternatively, you can form a group; if you can get two other people to join you in doing Transmission Meditation you have the basic group of three. Every other person enlarges the scope of the group, of course. The more you have, the more triangles are created, the more powerful the group is, and the more spiritual energy can be transmitted through the group. But even three, the basic group, can have distributed through it, in this extraordinary science, more energy than you could ever do individually. There is nothing so effective you could do as Transmission Meditation. Whatever other service you do, you could not do better than do even a little Transmission Meditation, it is so potent. Also, it does not work against any other spiritual practice, it is not exclusive. Any other meditation you do currently will be enhanced by doing Transmission Meditation. Of course, you do not do them at the same time. Transmission Meditation is so potent that there are restrictions on certain people, for instance, somebody who has a heart condition is usually recommended not to do Transmission Meditation, it is too powerful and could be unhelpful to them. Also people who have a known history of mental or emotional illness are warned that Transmission Meditation might not be for them – again because it is so powerful that it could undo the treatment they may be going through, or have had done, for the illness. The other restriction is in age. No child under the age of 12 should be allowed to do Transmission Meditation, or even be in the room in which it is being conducted. The chakras, the force centres, of a child under 12 are not yet sufficiently finalised, but are still growing, and this could be harmful for the child. Even children above 12 should be restricted in the time spent in Transmission Meditation. If you are in reasonable health there are no restrictions. If you are pregnant and the doctor is happy with your condition and you have no bad experiences, it is perfectly possible to do Transmission Meditation up to the ninth month – but only if you are in good health. That is Transmission Meditation. It is very easy to do, but as I say, there are these restrictions and they should not be ignored. I know fanatics who do it six or seven times a week. I suggest something more balanced, like ideally about three times a week or at least twice a week. Once a week is acceptable but twice is better, and three times is better still. I don’t think, certainly in the beginning, people should overdo it and do 10 hours at a stretch. If they do, say, an hour to start with and gradually work up by a quarter of an hour or so, to two to three hours, they will be doing well. Transmission Meditation is designed by the Masters and given to humanity scientifically for a given purpose and it should be done in this way. If you do it, you should do it the way the Masters have designed it – They are Masters of the art. There are always some people who think they know better than the Masters and see instructions as an infringement of their free will. It is a gift, and if you are not going to do it the right way, the best thing is not to do it at all. Otherwise you could make a mess of your chakras, and make yourself ill.
During Transmission Meditation do not despair if your attention keeps dropping from the ajna centre. It is like learning to ride a bicycle, you fall off, and fall off, and suddenly you are on your way, you can do it. You practise and you can learn to hold your attention. Transmission Meditation takes a long time to talk about, in its full sense, but time passes quickly when you are actually doing it. You come to the end, and you say, “Have we been sitting here all that time?” It doesn’t feel it is that time, time goes fast. That then, is Transmission Meditation, simple to do, and unbelievably beneficial to the world. You cannot do it without benefitting the world. Even if you are only aligned for a few minutes these few minutes are more powerful and more valuable to the Earth than any other activity you might do. Read more on transmission meditation. The website WeatherWatch.co.nz received a large number of eyewitness reports of UFO sightings during the time around New Year’s Day 2012. The weather site normally receives up to 10 reports per day of unknown lights, meteors, and other phenomena in the sky from throughout the world. As of 2 January, 80 reports had been sent to WeatherWatch within a 24-hour period, with another 10 coming in every hour. Weather analyst Philip Duncan said there had been reported sightings of flashing lights, “floating orbs” and “UFOs” from nations worldwide, including New Zealand, South Africa, Venezuela, the UK, Australia and the US. 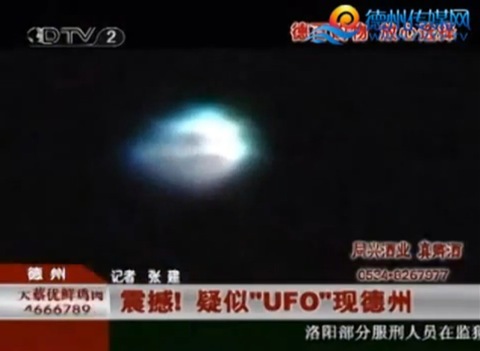 The US-based Mutual UFO Network (MUFON), the largest UFO investigative group in the world, received numerous reports of UFOs during the first week of 2012 from eyewitnesses in 36 US states. “For the entire month of January 2011, MUFON recorded around 500 reports, and we’re already up to 233 after just the first week of 2012,” said MUFON international director Clifford Clift. “We were shocked to find that not only have these orbs been seen over the last couple of years, they have also been seen all over the world within the last few nights!” wrote Laura B from California. 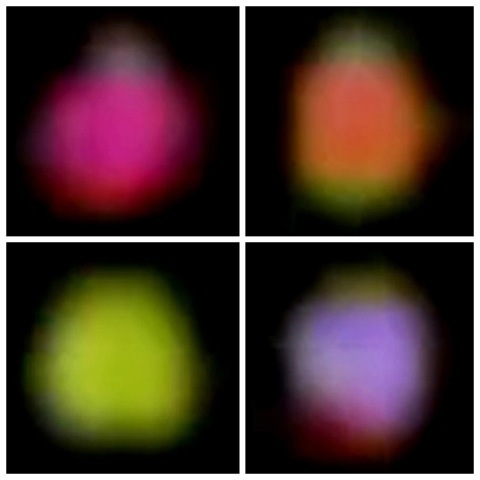 I took a short video of a beautiful flashing-coloured object with my cell phone on full magnification at 18.45hrs on 13 January 2012 looking 30 degrees up from the south-western horizon in the Huntington Beach, southern California, USA, night sky. My wife saw it first from our kitchen window. Then I went outside and filmed it. It was flashing white when we first saw it. We asked it aloud to please flash colours and it did. It shined brightly there, from time to time moving a little vertically and sideways in quick motions after I first asked it (by thought) to move. Then it stayed in the same place for about 40 minutes before it disappeared. It was truly stunning and captivating in its beauty! The rapidly-changing colours of Maitreya’s ‘star’, Huntington Beach, southern California, USA. Patterns of light on a building in Nîmes, south of France, taken on 9 January 2012, by D.B. Blessing by the Master Jesus on a photograph of young boy sent by M.S. from Fontana, California, USA. 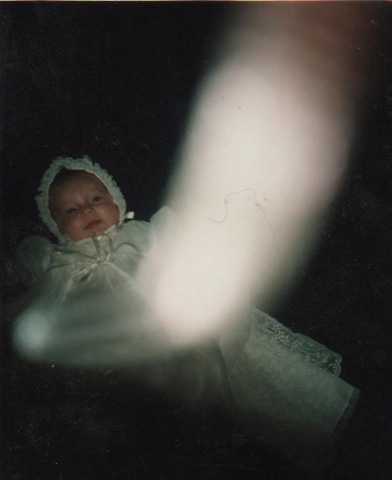 Light blessing from the Master Jesus on a photograph of R.R.’s baby daughter on her Christening day, at Long Island, New York, August 1995. Atossa Soltani, the founder of Amazon Watch. Amazon Watch, a nonprofit organisation based in San Francisco, was founded in 1996 to protect the Amazon rainforest and advance the rights of indigenous peoples in the region. The Amazon rainforest is the world’s largest and most biodiverse tropical rainforest, covering an area larger than the continental United States, including territory belonging to nine nations. Amazon Watch campaigns with indigenous and environmental organisations for human rights, corporate accountability and preserving the Amazon’s ecology. 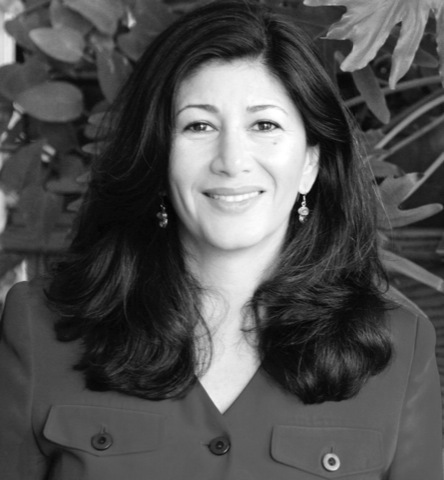 Atossa Soltani is the founder and executive director of Amazon Watch. Jason Francis interviewed her for Share International. Share International: Why do people need to see the preservation of the Amazon rainforest as important? Atossa Soltani: The Amazon rainforest is critical to our global climate. It regulates weather and rainfall, not just in South America but all over the world. It has been called the engine of the global weather system, as well as the rain machine and the lungs of the planet. The Amazon is a critical part of the Earth’s life support system and as such every one of the nearly 7 billion people on the planet depends on the Amazon and the functions it provides. The Amazon is also home to countless species of plants and animals including estimates of one-third to one-half of all species of plants and animals on Earth. Many of these plant species have medicinal values. Less than one per cent of the plants of the Amazon have been studied for their medicinal properties and we consider them promising in finding cures for illnesses including cancer, diabetes, and AIDS. SI: What is the vision of Amazon Watch, and what inspired you to create the organisation? AS: The vision of Amazon Watch is that we work in partnership with indigenous people throughout the Amazon to advance indigenous rights and environmental protection. Indigenous people have been incredibly effective stewards of the forest for millennia and are on the frontlines of the battle for protection of the Amazon. Thus, by standing with them we have the best chance of protecting the forest. And indigenous peoples’ way of life, their culture and traditional knowledge, offer lessons on how modern society can live more in balance with the natural world. We work in partnerships and campaign for indigenous land rights and rights to self-determination, for sustainable ecological development, for corporate accountability, and for helping the world recognise the value and importance of both the Amazon rainforest and the indigenous traditional knowledge that exists there. We are working on campaigns, for example, to hold corporations responsible for destruction of the forest and pollution of the water. We are working on programs to support indigenous peoples’ own advocacy initiatives to defend their land and get title to land. We are working to shift public investments away from destructive energy and mega-projects toward sustainable development. The core of our mission is the belief that indigenous people have rights and they are providing a service to all humanity. We have a great deal to learn from their battles and wisdom. We also have a great deal to lose if they lose their homeland, their forests and their culture. If they go, so does the entirety of the Amazon. Personally, I have been inspired by the magnificent, incredible phenomenon that is the Amazon rainforest from a very young age. I learned about it in my first year of college in 1983. Ever since then I couldn’t stop thinking about what an important battle this is for the planet and have spent the last 21 years of my life working on this particular global crisis: stopping deforestation and supporting the Amazon’s protection and indigenous rights. SI: What is the current rate of the Amazon’s deforestation? AS: Deforestation across the Amazon is not actually measured. In fact, most deforestation data that comes out is only for the Brazilian Amazon. So it is difficult to estimate. We know that countries like Ecuador have very high rates of deforestation. Because Brazil contains 60 per cent of the Amazon, deforestation there can be the size of Belgium in some years and the size of France in other years. It fluctuates, but generally speaking we can say that over the last 40 to 50 years we have lost about 20 per cent of the forest cover in the Amazon Basin in general, including Brazil, Bolivia, Ecuador, Peru, Columbia, Guyana, French Guyana and Surinam. Another 20 per cent of the forest in the Basin has been degraded significantly to the point where it is faltering in its ecological, hydrological function. Somewhere between 20 and 40 per cent has been deforested and degraded. We are fighting against a time clock. Somewhere around 40 to 50 per cent is the ecological tipping point where the entire hydrological cycle of the Amazon could begin to unravel. And we are not far away from that. We are probably within a few decades at most and some say we may already be reaching that point this decade. SI: What are the causes of the deforestation and desecration of the Amazon? AS: They vary from place to place. In the Andean Amazon region, with a mountainous, highland forest, the causes of deforestation are unique. Often deforestation follows the roads into inaccessible areas. Roads are being built for extracting timber, or exploring for oil and gas, and they bring in infrastructure like pipelines. These kinds of projects create access into remote areas and that brings with it a wave of people such as poachers and people from the urban centers looking for land. Colonisation and deforestation follow that through agriculture and sometimes industrial agriculture. In the Brazilian Amazon the causes of logging include cattle ranching and large-scale plantations for soybeans and palm oil. In the lower Amazon there are mega-dams that flood huge areas of the Amazon. In some places the size of the flooded areas are thousands of square miles. SI: Could you talk about what some experts have called a “Chernobyl in the Amazon”? AS: That is a title that has been used to refer to the areas contaminated and devastated by Chevron Corporation (formerly Texaco). In the late 1960s they discovered oil in the Northeastern Ecuadorian Amazon. They used technology that was outlawed in most other parts of the world to drill for oil, dumping 18 million gallons of toxic production water and 18 million gallons of crude spills into the rivers and streams in an area where five indigenous tribes live. This also affects some 30,000 rural farming communities. So basically this area has been devastated. The company left this area in the 1990s and left behind a huge area of contamination. There is a public health crisis. People are suffering high epidemics of cancer, birth defects, skin problems and all kinds of oil-pollution-related disease. The company has refused to clean up this area and, consequently, has been fighting tooth-and-nail against a lawsuit that led to an initial victory in February 2011. An Ecuadorian court ruled that Chevron is guilty and, therefore, should pay over $9.5 billion in cleanup costs and reparations for the damage they caused in the region. We feel confident that eventually justice will prevail and Chevron will have to fulfill its responsibility for cleanup, bringing immediately needed relief to communities that have been ravaged by the oil pollution. SI: What is the “Clean Up Ecuador Campaign” started by Amazon Watch? AS: Back in 2001 when Chevron bought Texaco, Amazon Watch launched a campaign to hold Chevron responsible for its role in the pollution of Ecuador. We are not the plaintiffs, but we have been working together in support of the plaintiffs. It is a class action lawsuit brought about by 30,000 indigenous and campesino villagers, which has been going on for 17 or 18 years. Our work has been supporting the communities and helping them get their voices heard, bringing them to the doorstep of Chevron decision-makers, and galvanising support from within the investor community to hold Chevron accountable. The campaign has also brought much-needed support to communities on the ground and involved hundreds of thousands of concerned citizens from all over the world who have been signing letters and petitions supporting the demands of the “Clean Up Ecuador Campaign”. The demands of the campaign are that Chevron accept responsibility for the clean-up of the contamination of soil and water, and to compensate the community members who have died or are suffering illnesses currently; to bring medical help to the region, and to bring potable water to the communities affected in this region. SI: Why aren’t state governments protecting the Amazon rainforest from degradation and desecration, and supporting the rights of indigenous peoples from exploitation? AS: The governments of these countries – such as Peru, Columbia and Brazil – have state-owned oil and electric companies. These companies, and government ministries of energy and mines, are in partnership with private corporations to extract the Amazon’s resources. So the governments, instead of playing the role of environmental regulators and upholders of human rights, are forming partnerships to facilitate the rapid extraction of resources in indigenous territories. On the one hand there are constitutional guarantees. In each of the Latin American countries, the governments have adopted provisions in their constitutions that give indigenous peoples rights to their land and resources, and guarantee their self-determination. Yet most of these governments don’t have regulations to adequately enforce these constitutional guarantees. Their court systems don’t work and they have very little independent environmental oversight of remote regions of the Amazon. On top of all of those challenges, as I mentioned, governments are entering into partnerships with companies for the rapid extraction of natural resources. It is that ultimate conflict of interest that pits indigenous peoples against the economic and corporate interests that control the government. SI: How does Amazon Watch advance the rights of indigenous peoples? Are indigenous peoples becoming more empowered in their fight to preserve the Amazon rainforest? AS: Amazon Watch’s principle strategy has been to strengthen indigenous organisations, support indigenous leadership development, and help indigenous people to be better advocates for their own rights. We have been doing what we can to amplify the voices of indigenous people. We help them get resources and training to not only strengthen their own internal organisations but also to know how to tackle such challenging institutions as multinational corporations and international financial institutions like the World Bank and the Inter-American Development Bank. I remember back in the late 1990s when Amazon Watch was first started we were helping indigenous leaders get email accounts, helping them learn how to use the internet, search the web or send emails from their nearest jungle town. Today there is an incredibly sophisticated movement that has been built where indigenous leaders are not only linked online to the international community and supporters, but also to each other, community to community. They are helping to inspire and provide examples to one another. I think that’s really exciting. They have become a force in Latin America. Indigenous peoples have toppled governments and defined the agenda of governments. They have forced governments to change laws and in some cases have, through nonviolent civil disobedience, shut down business-as-usual operations like corporations and have thrown out companies. They are a force to contend with. AS: I encourage people around the world, who may be thousands of miles away from the forests in the Amazon, to look at what they do in their daily lives – the food they eat, the energy they consume, their investments, their bank accounts – and how these choices empower the systems that are dismantling our natural ecological systems. At the same time, that is not enough. We need to look at reducing and clean- sourcing our consumption – buying local, eating food we grow, bringing our own energy consumption to the lowest possible level per capita. We also need to link with communities on the front lines and support them – channel resources, money, energy and activism. We need to become activists because the future generations depend on the actions of this generation. That goes for the Amazon and the rainforests all over the planet. That goes for fisheries, our oceans, our climate. And that goes for democracy and justice. It is time for a global mass solidarity movement to take a holistic approach toward all they do, and take action to change the planet and do it soon. The next 10 years are critical and will define the state of our planet for the next thousand years. So the time is now. 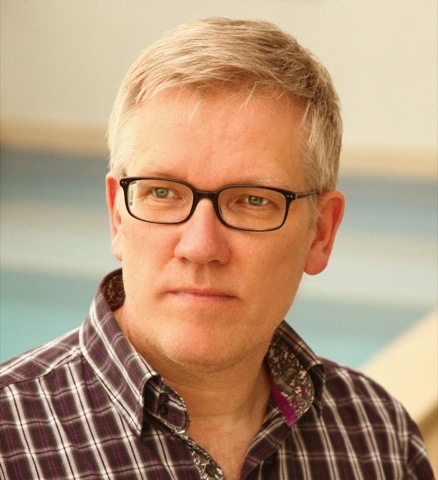 Gerard Aartsen, the writer of the book "Here to Help: UFOs and the Space Brothers". If we were to choose one single word that could define the nature of the research undertaken by scientists and writers in the field of extraterrestrial studies in the last 70 years that would probably be “disclosure”. Indeed, “disclosing” the facts behind so many alleged UFO sightings, sifting the fake contacts from the genuine ones, and providing arguments for or against the extraterrestrial presence on Earth has largely occupied the time, the energy and the minds of UFO researchers and even government institutions. A myriad contactees has claimed to have received messages from alien sources, most of which go beyond an admonitory tone to spawn fear and trepidation about the future. In view of this scenario, it is no wonder that an ever-increasing number of people who gladly accept the possibility of extraterrestrial visits on Earth are mystified or at a loss as to the meaning and significance of these contacts. What is the purpose of such visits? And if aliens are hostile beings, as portrayed by so many contactees and in Hollywood films, why are governments more concerned with concealing information than with drawing plans for opposing an alien invasion? Dutch writer and teacher Gerard Aartsenem> demonstrates in his recently published book Here to Help: UFOs and the Space Brothers that the key to understanding extraterrestrial contacts on Earth goes beyond merely the disclosure of data about their sightings and concentrates instead on the disclosure of their mission. Despite the fact that “no number of sightings seems sufficient to counter the general disbelief in the reality of the space people that was generated by the disinformation campaign initiated by governments in the 1950s”, Aartsen argues in an engaging tone that extraterrestrial discussion is no longer focused on whether aliens exist or not, or under what circumstances they have been sighted. Rather, the discussion is now moving on to the true significance and meaning of these visitations. As Aartsen himself made abundantly clear in his first book about this subject, George Adamski: A Herald for the Space Brothers (2010), the masses of information available on extraterrestrial contacts reveals to us the inescapable fact of their presence. But we will never comprehend the scope of their mission and purpose, nor fully engage co-operatively with the Space Brothers, if we persist in acting as if we were the only inhabitants of our solar system or if we allow fear and conspiracy theories to condition our response to extraterrestrial visitors. Here to Help tackles these two questions in a clear and convincing manner: the messages of our Space Brothers correspond with the best interest for humanity, since they urge us to care for the ecological well-being of the planet and to address the man-made imbalances in our society that create conditions of rampant injustice and greed. They come to help us to help our planet. The motives behind this help are not haphazard. In fact, they are in tune with the Ageless Wisdom Teachings and are provided in accordance with the Laws of Karma for this planet and with the knowledge and co-operation of our planetary Hierarchy. Throughout the book, among many other sources, the author draws from unique information on this subject from Benjamin Creme and Share International. Here to Help similarly illuminates for the reader the background of these wise and eternal teachings, which posit the evolution of consciousness as the purpose of life, here and – this may come as a surprise, though not for readers of Share International – everywhere else in the universe. This wisdom is given succinct expression in most religious traditions as the ‘Golden Rule’ or the law of harmlessness: the great law adhered to by the Space Brothers (who are more evolved than us, and come mainly from planets such as Venus and Mars) and our own Spiritual Hierarchy. Here to Help devotes two chapters to unravelling with hard data and primary documentary sources the mechanics and motivations behind the disinformation campaign, which obscured the genuine revelations of the Space Brothers and fostered an atmosphere of conspiracy. Aartsen balances this comprehensive report of what has gone wrong in our approach to ‘alien’ visitations with a revealing account of the activities of early contactees from around the world: from Russia to the US, South America or Australia. Most importantly, Here to Help highlights the common elements of these messages, which emerge in full force now, at a time of greatest need. “There is nothing ‘banal’ or ‘evangelical’ about the messages from space, advocating as they do socio-economic changes which would end the divisions that separate those who live well and those who starve unnecessarily”(p8). Before government institutions began to scare the public about the alleged evil nature of UFOs, many contactees were receiving information which is as relevant today. The Italian psychologist Bruno Sammaciccia (d.2003) was contacted from 1956 till the 1970s (as described in The Friendship Case, in Mass Contacts by Stefano Breccia). The gist of these messages revolved around an unselfish notion of love and ethical values that could ensure a safe evolutionary process, but these space visitors revealed as well that “their main task was to make sure humanity would not use its nuclear arsenal and to help our evolutionary progress, trying to push us to a higher level of understanding, even sharing some of our suffering in the process” (p64). This being so, Aartsen makes the point that “apart from many details of the space people’s advanced technology, knowledge and their control of natural laws” (p67), what really tells us that the coming of the UFOs is not an isolated and random event concerned with technology is the fact that “it is happening in support of the awakening of humanity to the spiritual realities of life and the return to the everyday world of the Elder Brothers of our Spiritual Hierarchy” (p67). While this argument was already presented in Aartsen’s previous book, in Here to Help it constitutes the backbone of every serious approach to interpreting extraterrestrial messages. Here to Help shows us that the existence of Space Brothers, their visits and their messages, are much simpler matters than we might think. They are not concerned with taking us to ‘further dimensions’ or indulging us with technological devices we cannot even begin to comprehend. As Gerard Aartsen makes obvious in each chapter, the Space Brothers remind us that we “must learn to walk before we can run” (p139). We will never get any access to the mysteries of life if we persist in our selfish and ignorant ways. Or put in other words, “as above, so below”, as it transpires from the reports of contactee Paolo di Girolamo: “The most fascinating part of [the space people’s] affirmations on the relation between mankind and the universe is that of the reality, already imagined by the philosophers of the past, of an existential integration between microcosm and the macrocosm” (p149). The Space Brothers’ aim then is to inspire us, humanity, to see ourselves as ‘one’, and, to see that ‘one’ as a part of a greater, extra-planetary oneness.